This chapter presents participants’ definitions of free time. It explores how it is differentiated from other time, what characterizes free time and how participants feel about the way they spend their time. 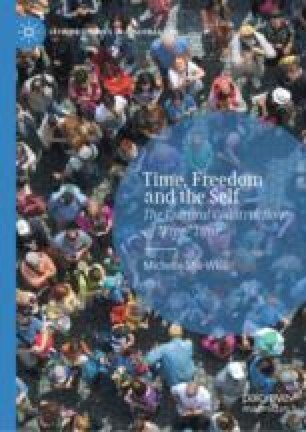 The chapter reveals the centrality of freedom in their conceptions of free time, distinguishing between freedom from external constraints, such as work or domestic duties, and freedom to choose to do as one wishes. The chapter also looks at participants’ descriptions of stress associated with committed time, which sharpens the conception of free time as an arena of freedom. American Time Use Survey (ATUS). 2018. American Time Use Survey—Overview. Bureau of Labor Statistics. https://www.bls.gov/tus/overview.htm#2. Accessed Aug 2018. OECD Social Indicators. 2009. Special Focus: Measuring Leisure in OECD Countries. http://www.oecd.org/berlin/42675407.pdf. Accessed July 2013.